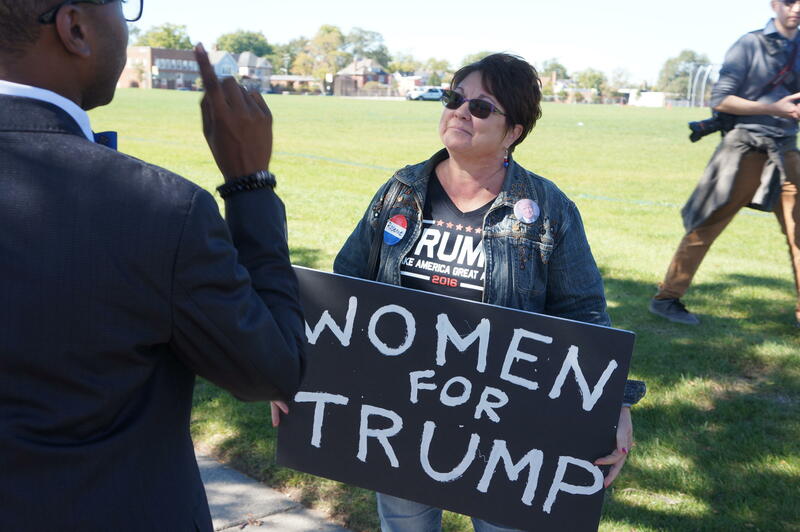 Rosanne Ponkowski was one of a couple dozen Trump supporters who gathered in protest outside a rally for Hillary Clinton on Monday. A couple dozen Donald Trump supporters waved signs outside a rally in Detroit Monday for Democratic presidential nominee Hillary Clinton. Ponkowski said a recording of Trump using vulgar words about women released by the Washington Post last week was disturbing. But she says it didn’t change her mind about the Republican nominee. Ponkowski is with the Michigan Conservative Coalition, which organized the demonstration. There were a handful of clashes throughout the day between the pro-Trump crowd and Clinton supporters heading into the rally. 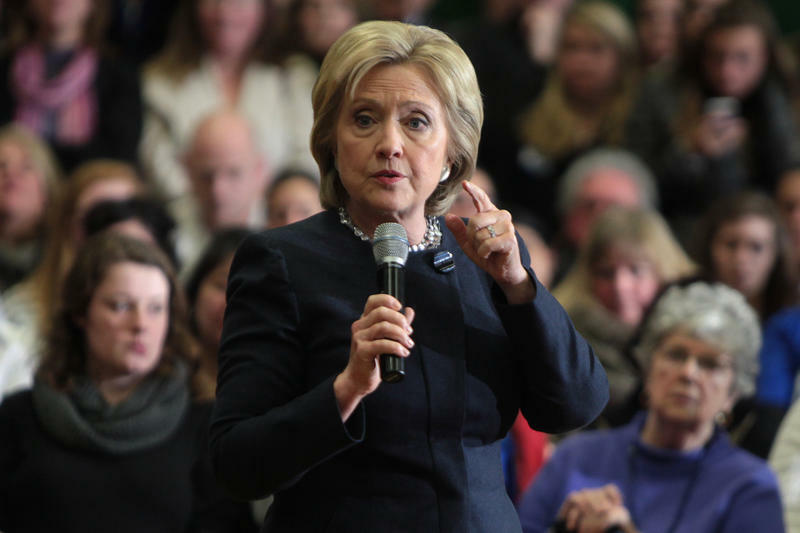 Democratic presidential candidate Hillary Clinton will make a post-debate stop Monday in Detroit. This will be Clinton’s first Michigan visit since August 11th. The trip coincides with the October 11th deadline to register to vote in the November election. Republican presidential nominee Donald Trump has made five trips to Michigan since the Republican national convention. The Clinton campaign hopes to avoid an Election Day surprise like the presidential primary loss to Senator Bernie Sanders last March. Sanders campaigned for Clinton in Michigan last week.